A basket of warm rolls is always a welcome treat at the dinner table, and often an expected item on the holiday buffet. 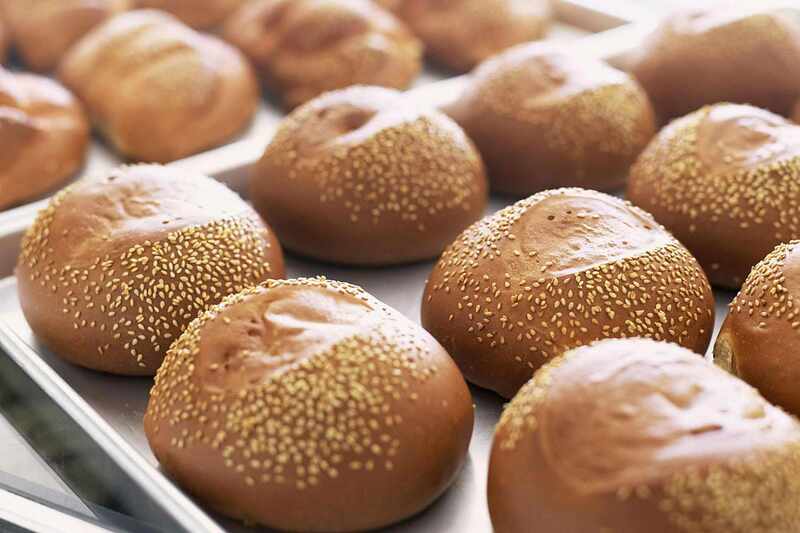 But many times, dinner rolls are the last thing we think about when planning a meal. These six easy homemade roll recipes can be made ahead of time and don't require you to be an expert baker. Dinner rolls are also the perfect food to bring when traveling to family dinners. They can be baked the night before, cooled, and packaged in food storage bags for the next day. There's no having to keep casserole dishes hot while driving in the car, and there's no morning of cooking fuss before you hit the road. And everyone loves a delicious roll! No-milk yeast rolls are the perfect rolls for making "day after" sandwiches, stuffed with ham or turkey meat. With just a few simple ingredients—yeast, sugar, bread flour, shortening, and eggs—and a bit of rising time, these soft rolls come together somewhat easily. The dough is rolled out and cut with a biscuit cutter, forming perfectly round rolls that are easy to split open in the middle. Since the dough for these rolls needs to be made the night before, these overnight refrigerator potato rolls are perfect for a holiday meal—just shape the dough and pop into the oven before sitting down at the table. The dough, which includes mashed potatoes (ideal if you have leftovers), can either be spread onto baking sheets and divided into 48 rolls​ or scooped into muffin tins. The buttermilk gives these rolls an extra buttery flavor that just can't ​be beat, and the honey adds a little bit of sweetness that everyone will love. Feel free to make any shape you like, and since they freeze beautifully, you can prepare them well before the holiday meal. These honey and buttermilk rolls are perfect served with a little butter beside a turkey dinner. 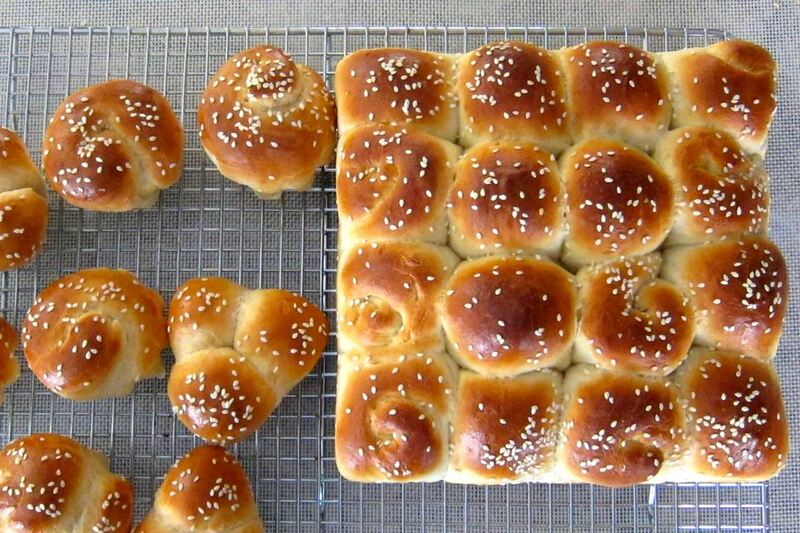 These little cloverleaf rolls taste as wonderful as they look! The cloverleaf shape is made by forming bits of dough into three little balls and placing them in a muffin cup. This is a great roll recipe to get the kids involved. Finish with a sprinkling of poppy seeds or sesame seeds—or a bit of both! With just a few common ingredients, three simple steps, and one cake pan, you will have tasty, buttery pan rolls in no time—and your guests will be asking for more. After mixing and kneading the dough, you let it rise and then divide into 12 pieces and place in the cake pan. Another rising time, a brush with butter, and then these rolls are ready for the oven. These sweet raisin rolls are not only delicious alongside turkey or ham, but also as breakfast the next morning—perfect when you are too tired to cook another meal! The sweetened bread dough is studded with dark raisins, but feel free to use golden if you prefer.